WEIR BUILT operates 25t to 80t cranes. We are a professional business that complies with all industry standards. Weir Built has a nil accident history and performs job safety analysis on every job. We follow all necessary WHS procedures including SWMS and site inductions. We are fully insured. 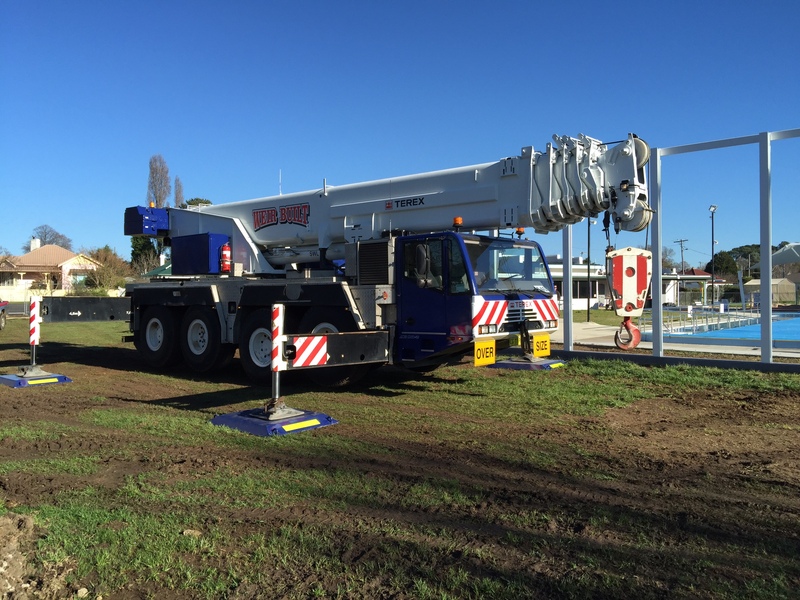 WEIR BUILT has 16 years experience in the crane industry with fully accredited operators and dogmen. WEIR BUILT is also a professional Metal Engineering and Repair Workshop, which has recently expanded its 1350m2 premises, including a large gravel yard space for handling big jobs WEIR BUILT has 20 years experience in the steel manufacturing industry, we manufacture and repair large jobs and comply with all current industry standards. WEIR BUILT has experience in the manufacture of timber laminate bridges, building rock handling equipment, earth moving equipment and for the mining industry, building Komatsu 550t excavators and 350t Komatsu dump trucks. WEIR BUILT manufactures aluminium trailers as well as chassis extensions and truck bodies. WEIR BUILT is fully insured with a nil accident history and we perform job safety analysis on every job. Each truck body, trailer manufacture and repair job completed at WEIR BUILT is to Australian standards for Australian Design Rules (ADR).